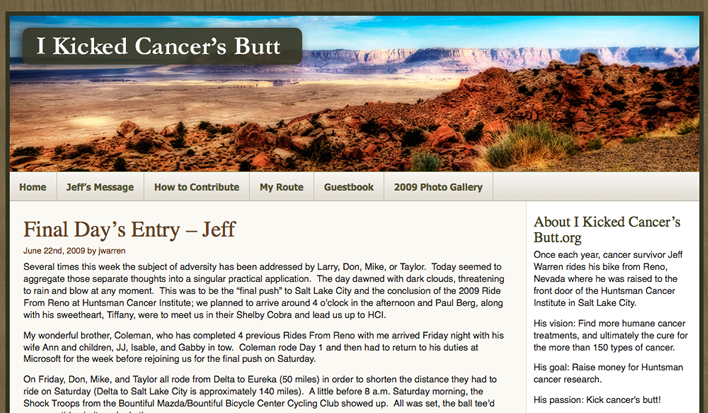 I had the great opportunity during the spring of ’08 to donate my time to help a friend redesign and build a non-profit site for his brother’s Ride from Reno to raise money for cancer research. We found a good WP theme and then did some modifications to skin and modify to get it just right. The highlight of this project was getting to see the site in action during the ride. Hopefully I can go along some day.